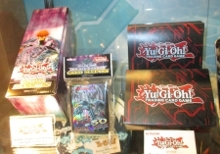 Comic-Con News: We caught up with Konami Digital Entertainment Vice President Card Business Yumi Hoashi at San Diego Comic-Con, where she talked about what the expanding TV presence for Yu-Gi-Oh! 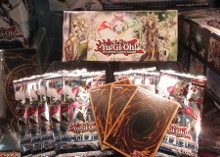 is doing to sales, and filled us in on the company’s Yu-Gi-Oh! plans for the rest of 2013. Could you talk a little bit about what’s been happening with the exposure for the Yu-Gi-Oh! 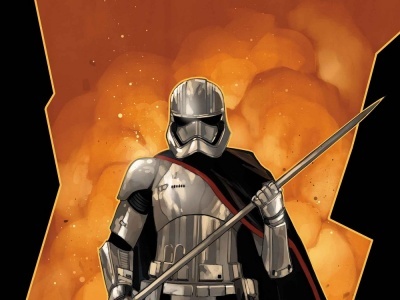 television series and what impact that has had on the sales of the game? Nicktoons started stripping the classic Yu-Gi-Oh! series back in March on Monday to Fridays and then they started broadcasting Zexal on Saturdays and Sundays in April. Our sales are definitely a lot more robust and overall in both the hobby and mass market sales have increased, I’d say on average, around 40 percent. How have the ratings been on Nicktoons? I know that Nicktoons is extremely happy with the ratings for Zexal, and for Nicktoons over-all, I think, the ratings are really solid. And you’re also still on Vortexx (see "'YGO!' on Vortexx"), correct? Yes we are. 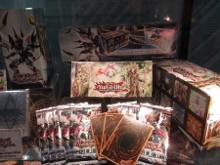 We’ve got the classic series as well as the Zexal series on Vortex once a week. That’s twice, all together, on Saturday morning, right? Can you update us on the upcoming Yu-Gi-Oh! TCG releases? On August 30th the first set of our annual tins is being released. 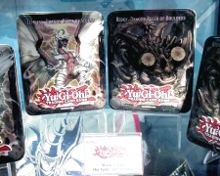 All four tins this year feature the “Dragon Rulers” from Judgment of the Light. The "Dragon Ruler" deck is actually really popular right now; it was the winning deck from our World Championship Qualifier in Chicago this past weekend. We follow the same formula [as past tins], with five packs in the tins with the Secret Rare card being the tin lid monster, and a couple of the super-rare cards as well. That’s followed by the Saga of Blue-Eyes, White Dragon Structure Deck. This is a highly anticipated release that’s releasing on September 13th. It combines the old and the new, so we’re bringing back the "Blue-Eyes, White Dragon," but we also have a new Synchro Monster: the "Azure Eyes, Silver Dragon." And so it merges the classic series and the new series. That’s followed by the Judgment of the Light Deluxe Edition, releasing on September 27th. This is the first time that we’re doing this type of release. We usually do a Special Edition after a core booster and the special editions were three packs and one of two super rare/rare ink cards. But the Deluxe Edition contains nine packs and a pack of 50 card promo sleeves, as well as two Ultra Rares of common cards from the Judgment of the Light set, plus one of two Super Rare preview cards from Shadow Specters, our upcoming booster in November. Is that the Deluxe Edition the product with two different boxes? Yes. There are two types of storage boxes that you can collect and this comes in a wrap, so it’s a blind purchase. The first storage box features brand new artwork that was drawn specifically for this release of "Utopia Ray Victory," which is another souped-up version of the original "Utopia" that is the main character Yuma’s main monster. The other one features the "Prophecy Spellbook," which is another really popular deck type at the moment--it came in second at the WCQ in Chicago. It also has a beginner’s guide for people who are not familiar with the game and how to play. That retails for $29.99, so it’s a great value. 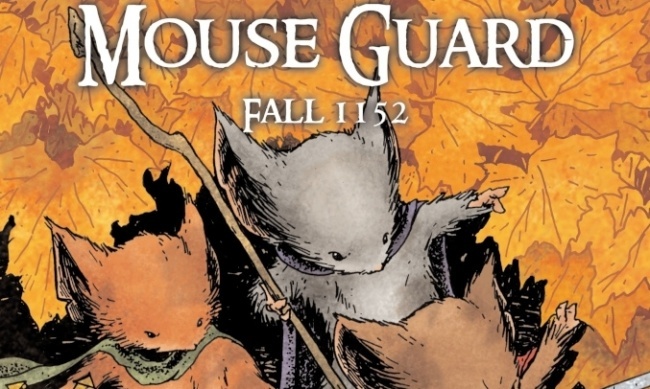 It comes out September 27th. And then October 11th, it’s our fourth iteration of the Legendary Collections. 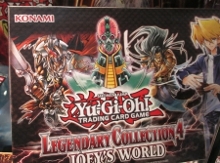 It’s Legendary Collection 4: Joey’s World, and obviously features Joey Wheeler from the original classic series. That comes with five Mega-Packs with the usual: you get the Secret Rare, Secret Ultra, Super and a Rare, plus five commons, so it’s a lot of foil cards in one pack. In addition to the five Mega-Packs, we have six token cards; two of them have never been released before. Also, three new cards: one of them is Joey Wheeler’s "Blue Flame Swordsman," the second one is Mai Valentine’s "Phoenix Formation" and the third one, which is not tournament legal because it’s so powerful, is Marik’s "Card of Last Will." 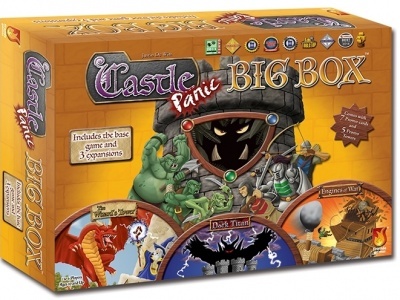 This product also includes a game board. 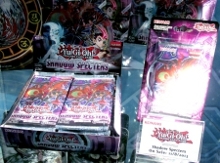 Then the last booster of the year for 2013 is Shadow Specters, which releases on November 8th. We’re bringing back vampires as a theme, and there are five new "Noble Knight" cards. 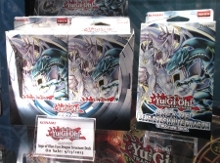 We also have some accessory items, the Double Dragon card sleeves which features the two dragons that are featured in the Saga of Blue-Eyes, White Dragon Structure Deck. 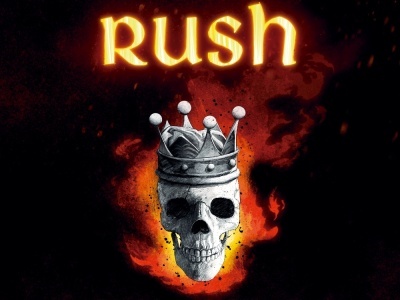 The artwork from that is being released on November 8th. Actually earlier than that, on September 27th, we have the Double Deck Case. That comes with the usual--it’s a magnetic closure with two storage boxes and a couple of index cards included. And finally we have the Wave 2 Tins releasing on November 22nd. This is the remaining two "Dragon Rulers:" "Redox, the Dragon Ruler of Boulders" and "Tempest, Dragon Ruler of Storms." You just announced this new Organized Play event the Yu-Gi-Oh! Days and Demo Days (see "'Yu-Gi-Oh!' Day and Demo Day"). Can you talk a bit about how that fits into your overall Organized Play program? 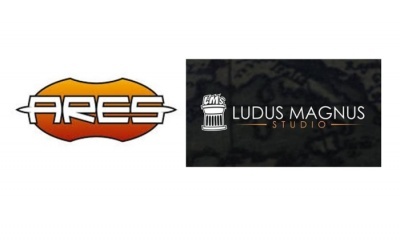 We’ve seen a huge influx of new players coming into our game, due to the increased TV exposure and also due to all of the marketing programs that we were running. So we wanted to celebrate Yu-Gi-Oh! and create a Yu-Gi-Oh! Day, and that’s launching July 27th in all of our participating Official Tournament Stores in the U.S., Canada and Latin America. environment for these new players with the Duelist League program. And finally it will be the advanced constructed tournament that’s open to everyone and we’re providing an exclusive game mat specifically for Yu-Gi-Oh! Days.